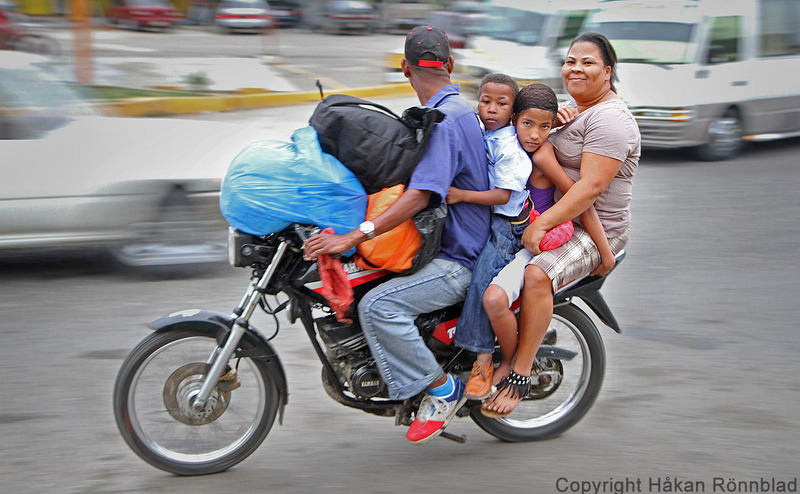 This entry was posted in Dominican Republic, photography and tagged air bag, Dominican Republic, Puerto Plata, rain, rush hour, Street photography, trafic, transportation. Bookmark the permalink. Si no te mueves.. te mueres! Not safe… but very funny indeed. Yeah.. You see a lot of stuff like that in the third world. It´s another planet when it comes to trafic safety! Thanks for your coment Victor.